Rampage reunites Johnson with San Andreas director Brad Peyton and is based on the popular video game of the same name. 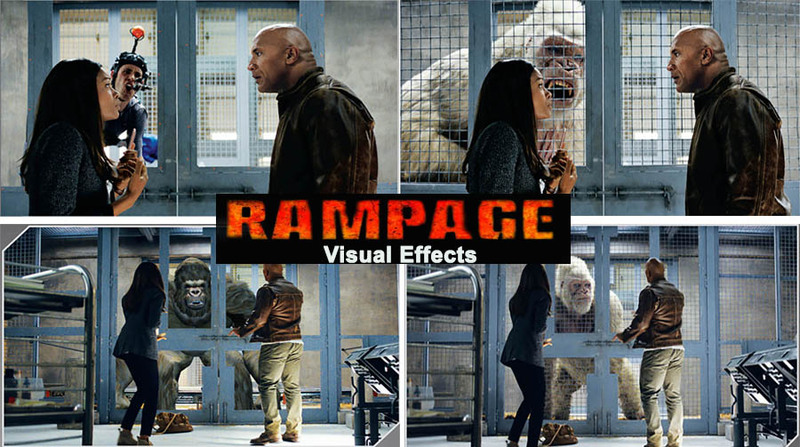 ScanlineVFX, Hydraulx, Weta Digital worked on Visual Effects for Rampage Movie. VFX Supervisor Colin Strause, lead at Hydraulx & VFX Supervisor Erik Winquist lead at Weta Digital. Weta Digital worked on 652 shots, Most of the shot weta worked on are creature shots.